Painted inside and out, new carpet and curtains in 2017. The Owner asks for all guests to be careful and considerate. Thank you. This 3 bedroom home is within 10 minutes walk from the hot pools, mini golf, and all the local cafes. 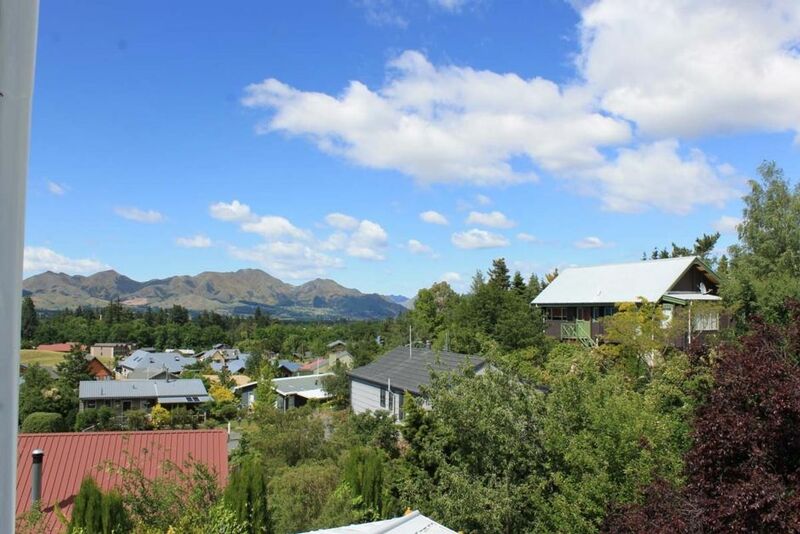 It has views overlooking Hanmer. There is a log burner for warmth in the winter. The key for this property is held in Christchurch. Other arrangements can be made, but please advise Owner at the time of booking if you are not coming via Christchurch. There is an extra Studio below this property which sleeps two. And is rented out separately. PLEASE NOTE: The Owner will start to take bookings for the Christmas Period from the 1 October 2018. Preference will be given to bookings of 5 days or more. NOTE: Under Kiwi bach tradition you are expected to: Clean the house and do the dishes before you leave; Bring your own linen (towels/sheets/tea towels); Please remove all rubbish from the property as often there are guests coming in after you. The property had room to park our two cars easily without shuffling them back and forth when one needed to be used. The property was spacious, bedrooms were roomy with plenty of storage and airy with lots of windows to have open for a through breeze. Kitchen kitted out adequately, but with restaurants 5 mins walk away we didn't make much use of it! Great value for 4 of us for 3 nights. The property was ideal for our purposes but required three of us to give it a once over. We were very disappointed that we had to clean when we arrived, before we could settle in. The kitchen mainly was in need of a good clean including the washing of nearly all of the utensils. Great stay. House perfect for our requirements. Recommended. Great property to stay at warm close to town, we have recommended to others already. Great place. Spacious, plenty of room. Easy 3 minute walk to town and the pools.